Experience Wonder and Joy of Christmas and Hanukkah: Get Away for Holidays in Savannah Georgia USA. SAVANNAH Georgia (November 19, 2013) -- Too often life's joys are bypassed or overlooked. Holiday joys in Savannah are magical! 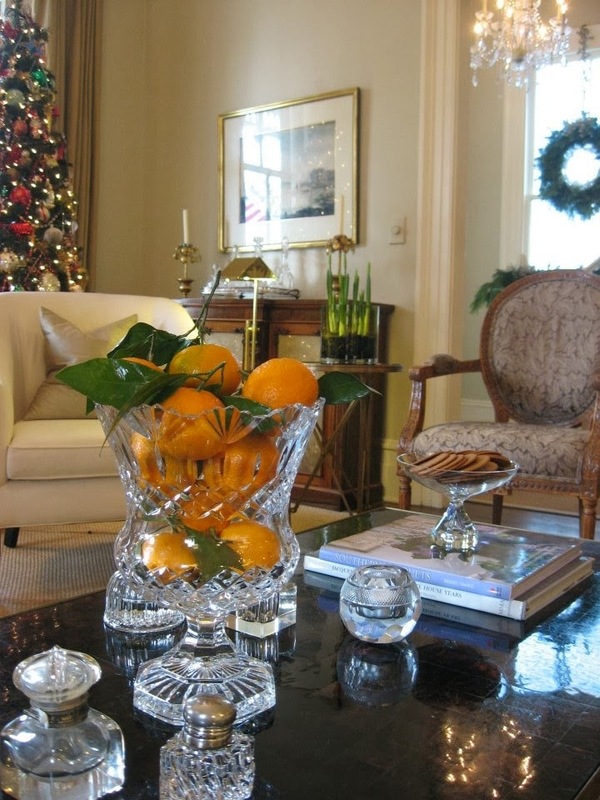 Romantic Inns in Savannah invite you to spend a few days in Savannah at Hanukkah and Christmas time. We have joy! The secret? Spontaneity is often at the heart of joy in Savannah. Even on Christmas day, there is much to do! Sure, it's that rare time when shops, museums, state and national parks are closed, sightseeing tours are on pause, and water taxi shuttles are docked. Families are celebrating. Here the holidays are opportune times to simply slow your pace. Wander. Wonder. Ramble about. Our friendly southerners suggest that you mosey or gallivant with no particularly place to be, at no particular time. Below are some ideas where we think you might find joy in Savannah. You'll notice we have enlisted some amazing sages! Link HERE for open restaurants on Christmas day. 1. Savannah is a colonial town, so you'll see more greenery than lights at Christmas time. The beautiful mansion on Chippewa Square is one of our favorite lighted trees, and The Paris Market on Broughton Street always has whimsical window displays. 2. It's joyful to pair things up -- photography and taking in the friendly, local vibe; discovering the favorite spots of local by way of a progressive dinner; seeing resurrection fern at Christmas; cocktails and dessert with someone dear, giving a gift to a stranger, or doing the unexpected -- taking in an art museum and lunch in the same spot! 3. We honor America's heroes when we take time to honor their service. The landscapes of the famous Savannah squares (garden parks) are dotted with monuments to heroes. On the Savannah Riverfront is the globe-shaped World War II Monument. 4. Bring your camera! One true joy in Savannah is what you'll see, even those things you don't expect -- the architecture, flower and tree landscapes, the panoramic vistas on the beach and waterways, the whimsy of birds and squirrels at play, and the many places of historical stories. 5. Attend an historic Savannah church or the Mickve Israel Synagogue -- the third oldest in North America. Many of Savannah's beautiful places of worship in the National Landmark Historic District were built in the 19th century. We think you'll find pure joy realizing the sacrifices made to worship in beautiful places. 6. Take in a musical at the historic Savannah Theatre, located on Chippewa Square. Magic happens when the lively, talented performers frolic onto the historic stage wearing beautiful costumes and bursting with joyful music! 7. Joy is found where one stays at one of our Romantic Inns in Savannah. Make no mistake: we want you to stay with us! However, if you adore our ideas, we'll be happy just to know that at least we were the candle and the mirror, pointing the way! Wherever you are, we wish you joy this Christmas and Hanukkah season. Merry Christmas! Happy Hanukkah! SAVANNAH Georgia (November 6, 2013) -- You may call this post a petite tease to visit romantic Savannah. We don't mind. Today several of our innkeepers from the family-owned, small bed and breakfast inns of Romantic Inns in Savannah, Georgia, share their prized French Toast recipes. Don't you agree that it's a grand opportunity to share a favorite breakfast recipes from guest-pleasing, small bed and breakfast inns? Definitely, we'd love for you to visit and stay with us. In the end, however, today we share our B&B #recipes to cheer on -- with our unflappable southern applause -- National French Toast Day, November 28, 2013. Did you know? French Toast has a long list of names -- French Toast, Nun's Toast, Pain Perdu, Poor Knights of Windsor, Egg Toast, Liberty Toast, and a host of more international captions. Remember in 2003 when the House of Representatives' cafeteria renamed the French toast, "Liberty toast" on the menu? Come. Let Savannah Romance You! Let us know how we might entice you more and assist with your Savannah visit. Here's link to reach all Romantic Inns with one inquiry. Meanwhile, enjoy! Slice horizontally, cutting to but not through other side. Spoon filling into croissant and dip in egg mixture. Cook stove-top with butter – medium heat – 1 to 2 minutes. Plate and sprinkle with fresh berries. Offer maple syrup. Melt butter in large sauté pan. Once butter is melted, add brown sugar and maple syrup. Use a wire whisk to help combine sugar, syrup, and butter. Bring to a simmer and add sliced bananas. Reduce heat to low and cook bananas until soft but not mushy. While bananas are cooking combine eggs with milk, vanilla, and cinnamon until well combined. Set aside until ready to cook bread. Slice French Bread. Heat greased flat top griddle to 350 degrees(I use cooking spray like Pam). Dip each piece of bread into egg mixture and put on greased griddle. Let cook 3-4 minute until golden brown and turn to cook other side. Place on plate and top with warm banana topping and dust with powdered sugar. Serve with your favorite breakfast meats (sausage, bacon, or ham) and enjoy! *Note from chef, Anna Kelley: You can adjust the amount of brown sugar and syrup to make it thinner or sweeter, can keep the mixture on the stove on low heat. I keep toast on the stove from 8 a.m. to 9:30 a.m. and add bananas to it as needed, but keep an eye on it so it does not burn. * adapted from Pioneer Woman, Ree Drummond's recipe. "I just tweak it a bit with fresh fruit and, of course, I bake it in individual ramekins," says innkeeper Jackie Heinz. 1 stick butter - melted. 2 Tblsp light corn syrup. Mix together. Prepare with cooking spray a 9x13 pan. Pour the butter/sugar mixture into the bottom. Slice 4-5 bananas and place on top of the butter. Slice 6-8 large croissants, length wise. Place bottoms onto of the bananas. Fill in the holes and make look pretty with the croissant tops. Mix 1-1/2 cups milk and 6 eggs. Add 2 teas vanilla and 1-1/2 teaspoon cinnamon. Pour over the croissants. Cover with plastic wrap and refrigerate over night. Bake 350 degrees for 55 minutes. Remove from oven and let sit for 5 minutes. "I top the french toast with caramel ice cream topping, whipped cream and nuts," says innkeeper Diane McCray. ENJOY! Interested in the more of the "French Toast" back story? We suggest "The Origin of the French Toast" on ChefTalk.com, and the French toast entry on Wikipedia, the free encyclopedia.